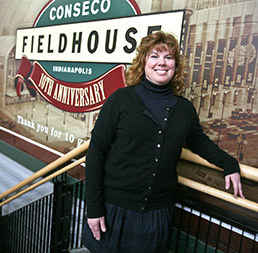 In July of 2010, there was a "bridge deal" struck between the City and the Pacers whereby the Capitol Improvement Board would pay the Pacers $10 million a year for the next three years to operate Conseco Fieldhouse with an additional $3.5 million going to improvements at the Fieldhouse. Those $3.5 million worth of improvements turned out to be ribbon advertising at Conseco which produced additional revenue...for the Pacers, not taxpayers. The Council approved the $33.5 million deal in the the Fall of 2010 when it approved the CIB's budget. To refresh people's memories, we taxpayers paid to build Conseco Fieldhouse with the deal being the Pacers would operate the facility and earn 100% of the Pacer and non-Pacer revenue from the facility. That sweetheart deal wasn't sweet enough for the Pacers when the Simons, the owners of the team, saw Jim Irsay get an even better deal at Lucas Oil Stadium. So in 2010, we agreed to pick up $10 million a year in operating expenses on the building for each of the next three years. The impetus for the deal was the fact that the Pacers reached the half-way 1999 contract which allowed renegotiation after the tenth year. The CIB and City officials claimed that the Pacers could pick up and move under the contract and obtained a study from a hospitality group suggesting that the Pacers departing would devastate the City's economy. Interestingly they did not go to college-trained economists for such a study as almost all dispute the claim that professional sports teams significantly impact local economies, certainly not so much as to justify large public subsidies. Nonetheless, the threat to move was never real - the penalties under the 1999 contract for terminating the deal early were about $150 million in 2010. (It decreases over time.) The Pacers were not going anywhere. City officials lied to the public when they suggested otherwise. But that was not the only thing we were lied to about. The Indianapolis Business Journal is reporting in a subscription only article that the last $10 million payment from the CIB to the Pacers was made in January 2012 and that negotiations are heating up for a new deal. Hmmm... really? The Pacers' fiscal year runs from 7/1 to 6/30. Let's count the years that were supposed to be covered by the July 2010 deal that wasn't approved by the Council until October of 2010. We should have another year on the deal. What the CIB and City officials did though was lie to the public, telling them the deal would cover the next three years when in fact it only covered the next two years of operations. The first $10 million payment was in fact for a fiscal year (6/30/2009 to 7/1/2010) that was already over at the time of the deal. Thanks for keeping track of and reporting on the many lies our local "officials" use in order to further fleece us the rest of us. This was not payment forward on the contract, or an inaccurate statement of the dates upon which payments were supposed to be made. There was a spare ten million in cash from the profits Indianapolis made from the Super Bowl(r). David Simon---the highest-paid CEO in the United States, according to AP and IBJ---was desperate for money to keep alive the cash-strapped Pacers. Someone in the mayor's office found the ten mil in a drawer and said, "Wow! Screw the schools, streets (except for building bike lanes), and police! This money needs to go to the Pacers!" I know you're being sarcastic here. But again you keep throwing in the notion that spending for education somehow has been shortchanged. Sometime I'll have to sit down with you with the numbers on spending on K-12 education. The last several decades we have increased K-12 spending far above the inflation rate. We have not "cut" education spending. I would have used the parks and the libraries at the same time. They were getting cut right at the same we agreed to give the Pacers $33.5 million more.